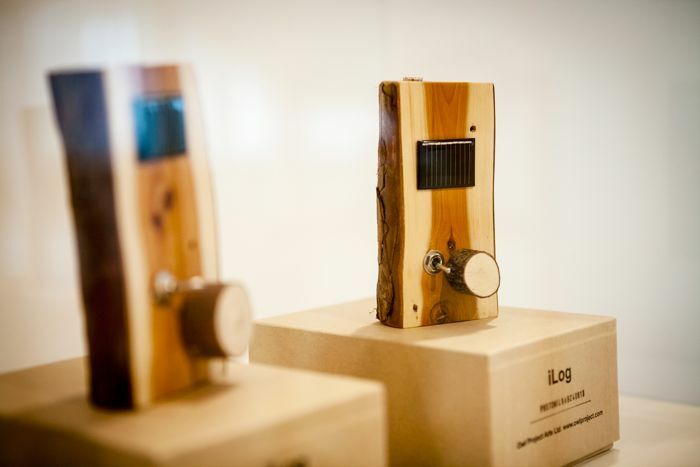 The iLog series began as reflection on our relationship with consumer technology. 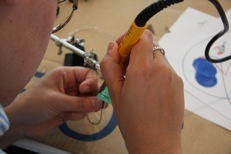 Their design strongly echoes contemporary products such as iPods and advanced mobile phones. 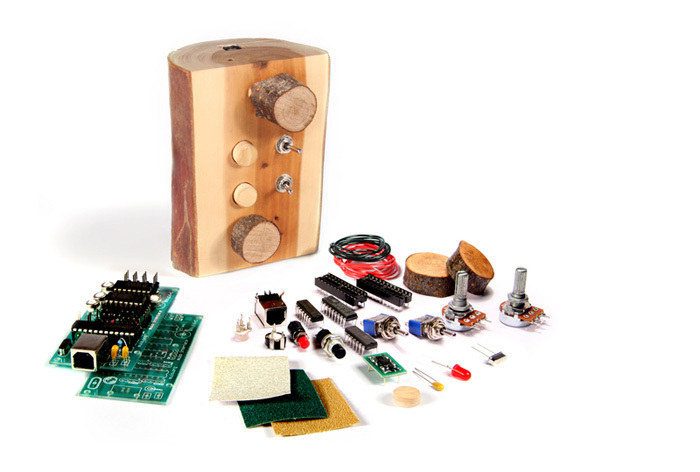 The idea for running iLog workshops, where participants build their own iLog, grew out of artists, musicians and collectors asking if they could buy an iLog from us. 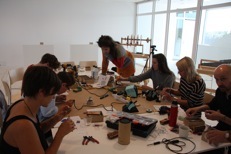 Faced with a demand for something that critiques desirability and value of mass production we devised the iLog workshop as a way of addressing this. 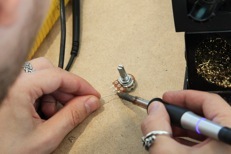 Unlike most digital devices iLogs resist mass-production and thus no two are ever the same. 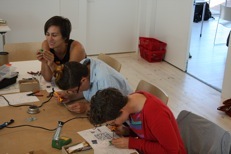 Embracing this limitation in a physical take on social media, we invite participants to join us in making their own variation. 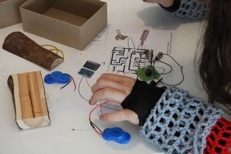 Through this social process collectors become developers and our range of instruments continue to evolve, placing an emphasis on cultural and social capital rather than the physical. 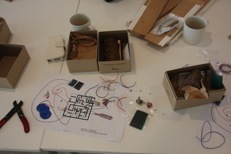 During this workshop participants recive a boxed Kit, containg the electronics and, most importantly, a Log. 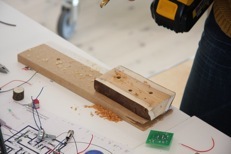 They design and build a noise generating circuit and then prepair the wood in which to embed the electronics. 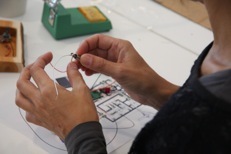 The workshop works as a way for people to buy a limited edition artwork that becomes part of the iLog series started in 2003, and join an exciting workshop in which they learn about the electronics and woodwork behind our work. 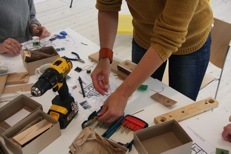 So far 15 iLog workshops have taken place at various venues including, FACT Liverpool, alongside the ‘Act of Making’ Show with the Crafts Council, Space Studios London and Baltic Gateshead, Yorkshire Sculpture Park, and Bildmuseet Umeå Sweden. 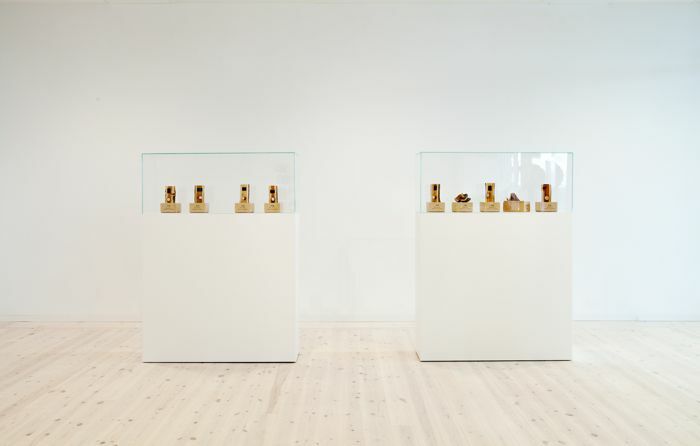 We worked with Thor Magnusson developing the iLogData and M-Log, He included the iLog in his essay DesigningConstraints.